Sometimes, you just don’t have enough to buy a new vacuum. You can buy a used vacuum and it turns out to be the best decision you made. A better alternative, however, is a certified refurbished vacuum. But should you buy a certified refurbished vacuum? Today, we will answer that question in depth. Where can I buy certified refurbished vacuums? So, should you buy a certified refurbished vacuum? Sometimes, goods, especially electronics, can be returned to the manufacturer for various reasons. Usually, they are returned because of defects. However, some customers return non-defective goods for a refund – everybody is allowed to change their mind, right? After receiving the product, the manufacturer checks for damages/defects and repairs it in case there’s any. Then, the product is tested for quality and performance before being resold. Refurbished products are also known as reconditioned, refreshed, or re-manufactured products. The two terms are somehow related. However, there is a clear difference between certified refurbished goods and ‘used’ goods. Used goods can be defective or not while certified refurbished goods have already been tested for defects. Once they undergo this process, they become “like new”. Also, certified refurbished goods may or may not have been used. As mentioned above, some buyers can return products to the manufacturer, not because of defects, but due to other reasons. For example, the packaging may be damaged. They can also change their mind for no reason, or due to buyer’s remorse. Used products can also be called pre-owned or second-hand. Before you decide to purchase a certified refurbished vacuum cleaner, you must know the pros and cons. All products have their advantages and disadvantages. You must appreciate the benefits, but you also need to be aware of the downsides. As pointed out at the beginning of the article, any item that is returned to the manufacturer/producer is checked, repaired and re-tested. Any worn out or damaged part is repaired or replaced, and any blemish is eliminated. So, you get a product that is just like new. In fact, some buyers return perfect vacuums to the sellers simply because they didn’t like them. In both cases, the manufacturer has to ensure that the vacuum works perfectly before it is sent back to the market. Also, if a particular model comes with attachments, certified refurbished vacuums will have them intact. The same cannot be guaranteed with used vacuums. Vacuums that have been returned to the manufacturer are resold at a much lower price. Don’t be shocked to find that a refurbished vacuum costs 50% less than a brand new one. This is actually the main reason why some people will always buy certified refurbished goods. Why should pay a lot of money while I can get a cheaper alternative with the same performance level? This is a very good reason for you to consider refurbished vacuums, especially if you are on a tight budget. Unlike used vacuums, certified refurbished ones are backed by a manufacturer’s warranty and/or money-back guarantee. The warranty period is usually very short compared to that of a brand new vacuum, but it is still better to have it in place. Most warranty periods for refurbished vacuums are between 30 to 90 days. Another thing that you don’t get with used vacuums is customer support. In case of any technical issue, you can contact the manufacturer for help or clarification. Please note that most manufacturers will not provide technical support for discontinued models. While certified refurbished vacuums are as good as new, there are a few issues of concern. As mentioned above, refurbished vacuums have warranties. That is a huge plus when compared to used vacuums. However, a 30 to 90 days warranty is quite short when compared to that of brand new vacuums. Amazingly, some manufacturers, such as Shark, offer warranties as long as five years for brand new vacuums. Sometimes, you buy a brand new vacuum only to discover that it has some defects. What guarantees that a refurbished unit will be 100% okay? Nothing. Even though it is a rare occurrence, a certified refurbished vacuum may either have or develop issues. This can be a real pain especially if the short warranty or return period has elapsed. Even though some pretty new models may be available as certified refurbished, most are usually older vacuum models. In fact, some may be already discontinued or due to be discontinued due to advancement in technology. This exposes you to two kinds of risk. First, if a particular model becomes unavailable in the market, so does its parts. The vacuum’s lifespan then becomes reduced to the lifetime of its parts. However, you may find that the critical parts of popular vacuum brands can be used by several models. Secondly, most manufacturers stop offering technical support for discontinued products. Availability of customer support is one of the most important things for anyone buying any home appliance. While looking to save some cash, always remember that you must get value for money. You can only get that by dealing with reputable sellers. You can buy certified refurbished vacuum cleaners from well-known retail outlets and manufacturer’s websites. Also, you can buy certified refurbished vacuum cleaners on a reputable online store like Amazon. Remember to go through what other customers are saying about your preferred refurbished vacuum. This will help you make an informed decision. 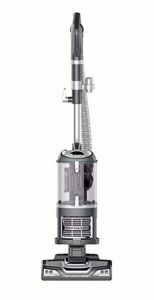 Certified refurbished vacuum cleaners offer the best way of getting the best vacuums at a cheap price. As indicated earlier, you can a good vacuum for even half the price of a new one. Then, certified refurbished vacuums are as good as new. This means that you get top-notch performance and any attachments that can accompany the brand new alternative. To answer the question, yes I would buy a certified refurbished vacuum cleaner. There are many advantages in terms of warranty, customer support, and performance, especially when compared to used vacuums. And at a fraction of the price of a brand new vacuum!